Just a few weeks ago, people were talking about new highs as the PSE broke above 7,400. Now? Biglang ninenerbiyos na mga tao kasi the index just went below 7,000. From 7,500 or higher, biglang 6,500 or lower naman usapan ngayon. Kakahilo di ba? Lol. Well, this is where your investment strategy will truly be tested. First of all, do NOT dwell on what you COULD have or SHOULD have done. Tapos na yun. Focus instead on what you WILL be doing in the coming days. 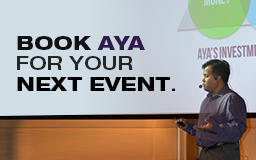 Kung tamaan ang cut-loss point mo — SELL. 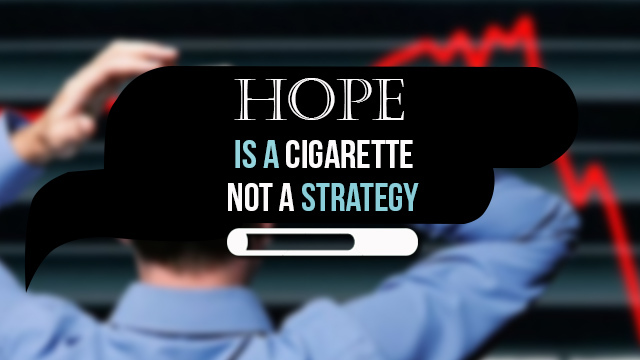 At this point, HOPE is a cigarette, not a strategy. As you can see from the DOW, an entire year’s worth of gains can very easily be wiped out in a few days and the PSE is NOT immune to that. So as we brace for a very trying week in the market, be sure you have your entry and exit points clearly marked and that you have the DISCIPLINE to implement them. Hello po. panu po nalalaman kung mataas/mababa ang stock exchange? May blog po kayo nun? Newbie po ako on investing. thanks.